Transform your education to transform your community! The Labor Studies offers UCLA undergraduates an opportunity to learn about the workplace and the social, political, and economic forces that influence it. The minor places emphasis on the labor market, public policy, employment relations, unions, and working-class movements. It also explores issues of race, class, and gender in the workplace. The program currently enrolls approximately 150 students and facilitates over 200 student placements annually. With a total of over 4,500 experiential learning hours this past academic year, students in our Labor Studies courses demonstrate their commitment to transforming their education and their communities. Labor Studies Courses provide students with high quality academic coursework and applied research skills around the current and future state of work in the US and abroad. For a complete list of courses offered this quarter, please visit the courses page. 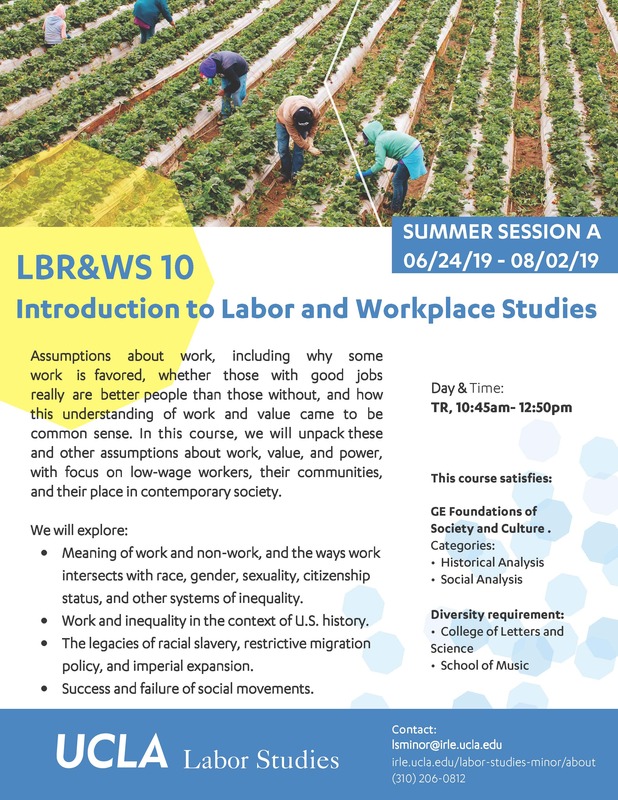 Labor Studies 10 offered this summer is an introductory course to enable students to analyze and engage the intersections of low-wage work in our communities and contemporary society. The Labor Summer Research Internship Program is an applied research internship for students to develop research methodology skills within the context of a local organization. 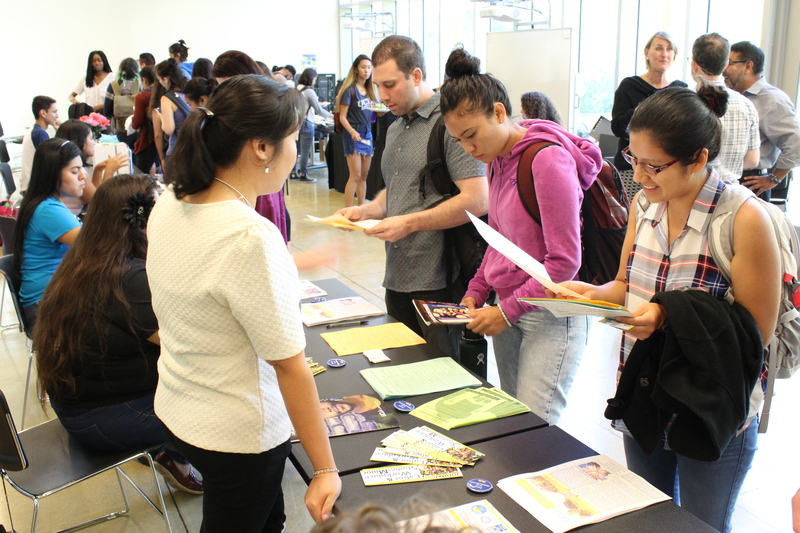 Stay up-to-date with Labor Studies internships, campus and community events, and job opportunities. To enter the minor, students must be in good academic standing (2.0 grade-point average or better), have completed 45 units, and meet with the Student Affairs Officer. Students must complete 28 units (approx. 7 courses) from the approved and/or related courses, with up to 8 units (approx. 2 courses) of lower division and up to 8 units (approx. 2 courses) overlapped with a major or another minor. Students can select courses from the Approved and Related course list. Students may petition to apply other topical courses with substantial labor and workplace studies content. Each minor course must be taken for a letter grade, and students must have a minimum grade of C (2.0) in each and an overall grade-point average of 2.0 or better. Successful completion of the minor is indicated on the transcript and diploma. This interdisciplinary approach offers students an in-depth understanding of a broad array of issues related to labor and the workplace. The minor helps prepare students for a variety of careers, including labor relations, human resource management, law, domestic and international government work, worker organizing, and economic forecasting.